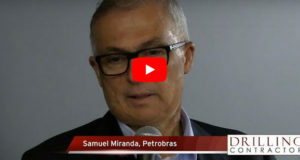 Blowouts are the most catastrophic operational risk facing the upstream oil and gas industry, with potentially disastrous consequences to personnel, equipment and the environment. A single incident also can have severe long-term legal and financial ramifications. According to the SINTEF Offshore Blowout Database, 56% of all blowouts in the US Gulf of Mexico and North Sea between 1980 and 2014 occurred while drilling exploration or development wells. 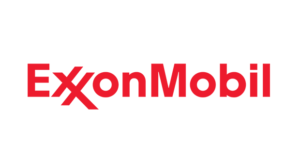 The remainder of the events – more than four of every 10 – happened during completion, workover, wireline, production and other non-drilling operations. 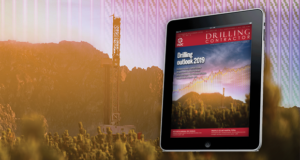 These statistics underscore the fact that while drilling may have the highest statistical probability of a well control event, the risk persists long after the bit reaches total depth. 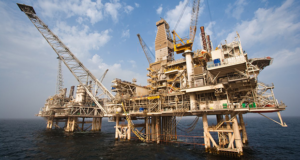 Managing process safety risks associated with loss of well control is imperative for all parties on location during any critical well operation. However, it can be especially challenging for service companies, which can have multiple crews rotating onto a given site at various times or simultaneously deploying a wide range of products and services with varying levels of technological sophistication. The keys to mitigating risk are operational readiness and the crew’s ability to properly recognize and respond to threats, abnormalities or major operational disruptions. Each crew member must be ready and alert to consistently deliver flawless job execution regardless of the particular service activity or environmental conditions encountered at the worksite. Figure 1: The premise behind the threat response drill methodology is to expand well control drills as far to the left side of the bowtie as possible so that they focus equally on preventive risk assessments and reactive mitigation procedures. 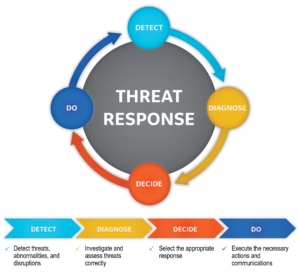 Recognizing these realities, a threat response drill (TRD) methodology has been developed to test a crew’s readiness level, evaluate what it has learned, as well as assess how it will execute at the wellsite and how to enhance its performance in responding to escalating well control scenarios. 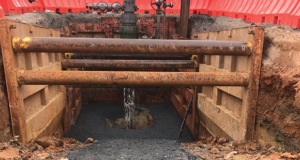 With drills tailored to different well operations and specific jobsite conditions, the TRD approach provides a practical demonstration of proactive risk management by optimizing response times and human performance while minimizing human error. The bowtie diagram shown in Figure 1 is a familiar visualization of well control process safety risks. Proactive barriers make up the left side of the bowtie, and reactive barriers are on the right side. In the center is the so-called top event, signifying a loss of containment. Industry well control drills generally begin in the center and assume the top event will be recognized and effectively communicated, which means crews are only drilled on their reactions to a simulated influx or kick scenario (right side of the bowtie). The premise behind TRD is to expand well control drills as far to the left side of the bowtie as possible, focusing equally on preventive risk assessment and reactive mitigation procedures. 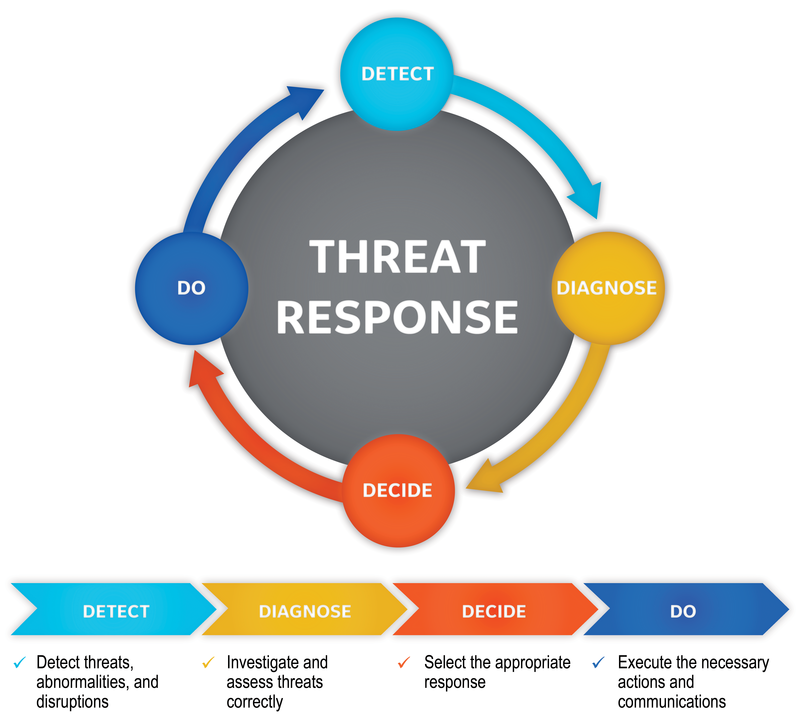 The drills follow a 4D decision tree concept – detect, diagnose, decide and do – that requires crews to manage threats and disruptions in a timely manner, with a strong emphasis on situational awareness, critical thinking, decision making and communication protocols (Figure 2). Safety assurance at the wellsite is provided by testing the capabilities of local crews to recognize, understand and respond to specific threat scenarios that ultimately could escalate into a loss of well control. The drills clarify through repetition both the collective and individual roles and responsibilities of crew members to minimize the frequency and severity of human errors, which can diminish the effectiveness of risk management efforts and response actions to major threats. • Communicating critical information to appropriate parties. No single “D” in the 4D decision cycle is more critical than another. That said, if nothing gets detected, nothing can get diagnosed, decided or done. Detection relates to picking up on weak signals during what the crew might otherwise perceive as routine aspects of executing a job. These initial threats are the early distant indicators that appear before a crew even realizes something has gone wrong and long before an emergency well containment situation can develop. Figure 2: Emphasis in the 4D decision tree concept is given to situational awareness, critical thinking, decision making and communication protocols. At this early stage, the idea is not to jump to a conclusion that a problem has been detected but to be cognizant that something has been detected that needs to be diagnosed in order to ascertain whether a problem exists. Only after that determination has been made would the crew decide on an appropriate response and execute the necessary actions and communications. Table 1: Nine scenarios were developed that correspond to the critical threats identified for coiled-tubing services, where BHGE initially applied the TRD method. From detecting a threat to diagnosing it, deciding what to do and executing the action, every crew member plays a role in all four Ds. Of course, there is a big difference between answering questions correctly in a classroom and doing things correctly under pressure on a rig when time is of the essence. Unlike training to augment academic knowledge or technical skill, TRDs build muscle memory in frontline crews by reinforcing the critical actions and responsibilities required once a threat has been detected. The more crews drill, the better prepared they will be to put knowledge and skills into action to respond in the right ways at the right times. Figure 3: TRD documents provide the initial scenario injected by the facilitator and a series of escalation factors. 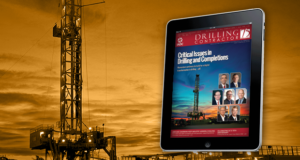 Operators and drilling contractors have different strategies for minimizing well control risk, but the risk is shared among all parties involved in an operation, including the service company. 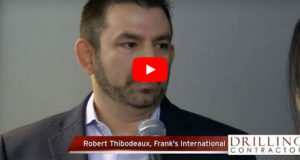 A shift in mindset from an operator/drilling contractor-centric approach to a more holistic approach that includes service providers is essential to minimizing process safety event risk and optimizing on-the-ground human intelligence at the wellsite. 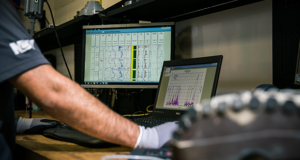 Baker Hughes, a GE company, is implementing TRDs as part of its overall global risk mitigation strategy. However, the preference is to have BHGE crews participate in drills in collaboration with operator and drilling contractor personnel, rather than in isolation. With operators, contractors and service companies all exposed to the same process safety risk on the jobsite, collaborative drills promote operational readiness for all actors physically present, helping everyone move to the left side of the bowtie. 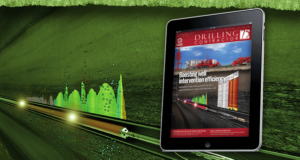 TRDs are intended to enhance, not replace, traditional well controls drills. 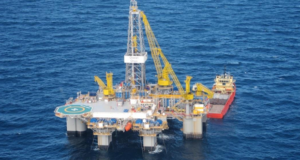 They can be conducted independently or in conjunction with scheduled well control drills with site-specific or customer-requested factors added, based on operational requirements. 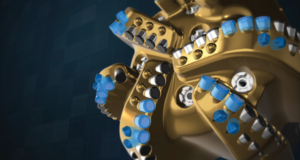 Drills are modular and customizable according to the services and technologies being deployed, the local operating conditions and job specifications. All drills are structured to start on the left-hand side of the bowtie with routine aspects of the job execution, and then progress to the right-hand side by introducing escalation factors that gradually amplify the risk. Ultimately, the escalation factors always evolve into a loss of well control scenario that requires the crew to implement emergency shutdown measures. A facilitator injects a scenario and multiple escalation factors as needed, such as gains in the mud pit, increasing pressure or signs of coiled-tubing (CT) buckling. The crew must be able to complete all four Ds adequately before the next escalation factor is introduced. It is the job of the facilitator to not only inject threats to test crew preparedness but also assess how a crew responds through the comments and actions of its members. On a drilling operation, for example, the scenario injected by the facilitator might be encountering a sudden and unexpected change in drilling parameters (torque, bit bouncing, pressure fluctuations, stalling out of the rotary table, and a sudden drop in penetration rate). The crew must then determine the critical actions and communications necessary to manage these drastic changes. 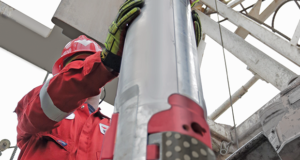 Once the crew has responded and adjusted the drilling parameters to alleviate the drilling dysfunction, the facilitator might inject an escalation factor, such as the directional driller taking a survey after drilling ahead 20 ft and noticing magnetic inference. The crew again must decide on critical actions and communications to respond to this new information. The TRD process continues in this manner, gradually ramping up the magnitude of the threat until the only option left to the crew is shutting down the operation. By conducting TRDs face-to-face on location instead of in a classroom, drills can be as realistic as possible, allowing the facilitator to observe the crew first hand. If a proper response to a threat is to shut a particular valve, the facilitator will assess the crew’s ability to quickly determine what needs to be done and check whether a member of the crew actually goes to the valve to take the correct action. The observations are used to differentiate skillsets within crews and specifically identify skills retained from classroom instruction. After-action reviews optimize the crew’s performance and build confidence that all members can execute flawlessly at the wellsite. BHGE initially applied the TRD method in CT services, where incident data showed that critical threats to well control events would be best addressed by managing the risks listed in Table 1. The resulting CT services-related TRDs include nine distinct scenarios that correspond to these threats. They are scalable, so any drill can be conducted separately or in conjunction with one or all of the others. After demonstrating its value in CT services, additional drills were developed for each BHGE product and service line, including pressure pumping, wireline, drilling, completion and intervention, and drilling fluids. 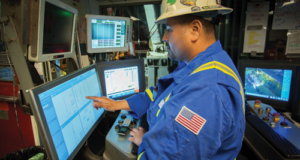 TRDs for each product line are internally accessible through BHGE’s global document management system, so whether a crew is on a site as part of a drilling operation or a workover, a drill is available that is directly applicable to the work being performed. Figure 3 is an example of a TRD document. It includes the initial scenario injected by the facilitator and a series of escalation factors that eventually culminate in a well shut-in. For each successive scenario, the document details the crew’s response, including every critical action taken, who performed it and confirmation the action was completed. There are no preset time requirements, although time management is obviously an important consideration. Because some threats may have more than one appropriate action, the document includes a facilitator’s guide that specifies common expected actions. The facilitator evaluates the crew’s effectiveness and timeliness in making decisions to resolve specific threats and how well it maintained communications in the dynamic operation environment. 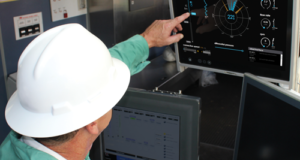 Because the human factor is crucial in process safety, situational awareness is integral to every drill to make sure crews do not overlook weak signals or miss opportunities to prevent a well control emergency. The next step in the evolution of TRD technology is an integrated augmented/mixed reality (AR) platform that creates a digital rendering of the local work environment. 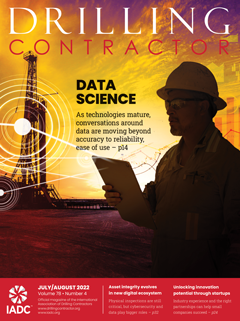 AR is a cornerstone of a new digital ecosystem focused on improving how jobsite personnel ingest, interrogate and interact with data to increase operational efficiencies, lower costs and mitigate process safety risks. 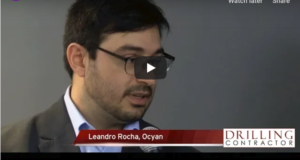 By overlaying digital information on top of the physical world, AR provides a more intuitive and efficient way for the user to make sense of data using advanced computing technologies, such as deep learning. A unique cloud-based software platform has been developed to overcome computational limitations of AR devices and enable interaction with more complex 3D environments for performing full-scale walkthroughs or accessing detailed equipment schematics. This platform enables real-time connectivity across different hardware architectures, including smartphones, tablets and Microsoft HoloLens devices, creating powerful new capabilities for remote collaboration and group training. Because operational readiness and crew capability are the determining factors in preventing and mitigating process safety risks, TRDs conducted in the AR platform provide real-world, full-scale 3D virtual scenarios for demonstration of operational readiness and proactive risk management. Crew response capability and human performance can be evaluated and optimized through progressive gamified AR techniques. These 3D virtual scenarios are designed to be nonlinear, with multiple outcomes based on user inputs. A customized user interface launches the scenarios and facilitates navigation, providing safety assurance by testing localized crews’ ability to respond to threat scenarios that can escalate into major catastrophic events.